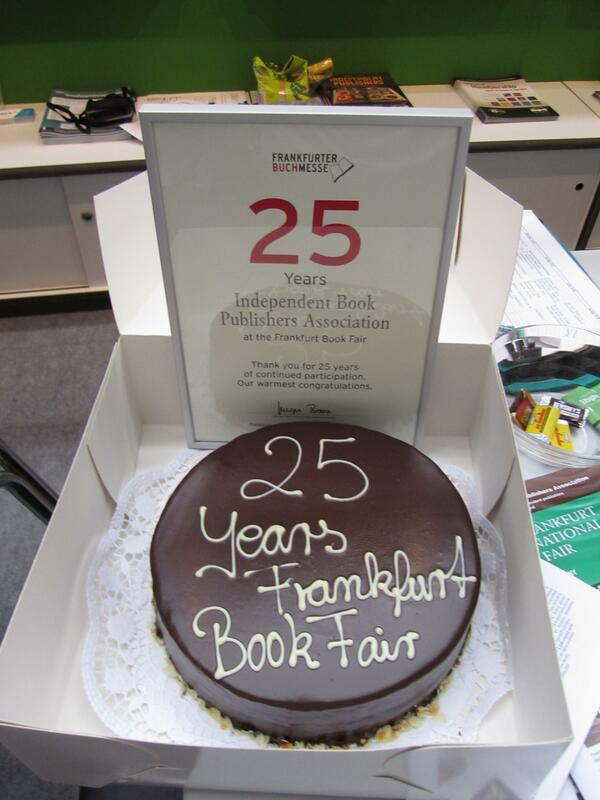 This year, IBPA (formerly PMA) celebrated its 25th year exhibiting at the Frankfurt Book Fair ! That fact had escape d us until the fair staff visited our booth with a plaque and cake that spelled it out in icing. This was my 10th year at this show and the second year for our President, Florrie Binford Kichler. Having previously done the London show and so many domestic shows together, we have a great rhythm and flow as a team. So now, besides finishing each other’s sentences, we’re handing each other a needed title before the other even asks. That makes for a fantastic working show! There is something so great about that kind of continuity. For the past ten years, we’ve stayed in the private home of the Abraham family in a town called Goldstein. It is two trains and a trolley ride away from the fair, which makes for a long “to and from” part of the day. It’s also what affords us the opportunity to attend this show on behalf of IBPA members and we’ve come to love our adopted German family. We’ve actually watched babies grow up and go to school. Over the past 25 years, we’ve made a lot of publisher friends from all over the world. To meet with them each year and watch the progress of each company is amazing. That kind of history is invaluable and so many deals and referrals have been made from those relationships. We made a lot of important new contacts as well and expect to see them next year for business. 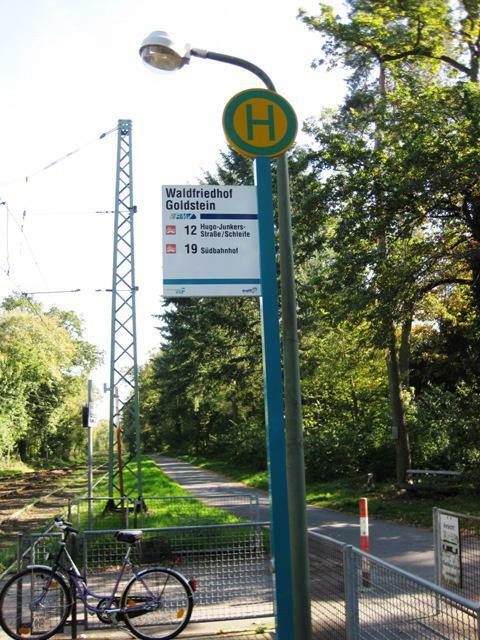 According to an article from Publishers Weekly – Attendance at the Frankfurt Book Fair dipped slightly this year, but not nearly as much as organizers had expected given the state of the global economy. Attendance for the first three days of the fair, before the gates were opened to the public, stood at 149,945, down 1.7% from the 152,530 attendees in 2009 for the same three-day period. Organizers, however, were encouraged by the numbers given the global economic recession, and by a late rally that boosted attendance, and rise in rights center activity. 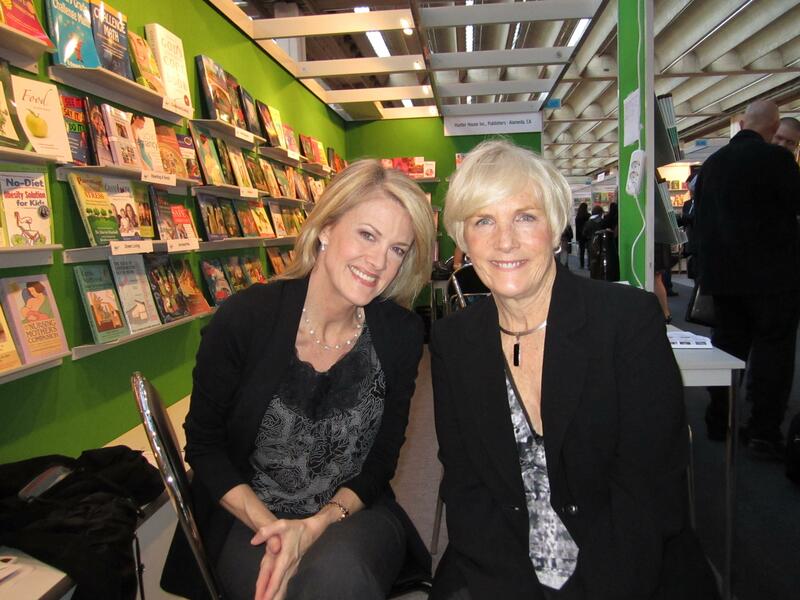 IBPA held 50+ meetings with publishers and agents from 25 countries requesting over 200 copies for rights reviews. The countries included were Australia, Belarus, Brazil, Bulgaria, China, Croatia, England, Finland, France, Germany, Hungary, India, Japan, Korea, Latvia, Lebanon, The Netherlands, Nigeria, Poland, Slovenia, South Africa, Spain, Turkey, Ukraine, and the USA. The advantage of relationship building in Frankfurt is that, over time, we become familiar with a publishers’ program and figure out how we can add to their list. We also love hearing the success stories of previously purchased titles. One publisher, who had a gorgeous catalog, showed us how they changed a member’s cover art (beautiful job) and let us know how it was selling in their country. Even as little as 10 years ago, there was a lot of faxing and snail mail about appointments and follow up. Now we can sit in a meeting, discuss an article about a health issue that ties in with a Japanese publisher’s title, go back to the hotel that evening, find it, and email it to her right then and there. 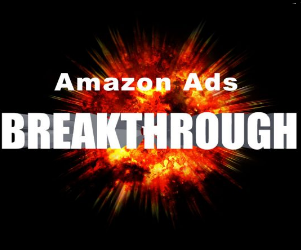 We can connect publishers with like product by website or blogs and e-newsletters. We can email the color catalog (from the show to every participant with whom we spoke and to anyone else we feel may benefit. This kind of progress is not just exciting but full of possibilities and we’re exploring all of them. For those who have not been to a foreign rights show and may not know how this show differs from our attendance at national shows such as BEA or ALA, here’s a brief synopsis of our day. We have an appointment scheduled each half hour of the day, starting at 9 a.m. and continuing until 6 p.m. when the fair closes (normally we work right through lunch as well). We meet with publishers from all over the world. When we meet with the publishers, they normally tell us about their publishing company’s needs and genres of interest. Sometimes we have lots of product for them; sometimes just a few matches and sometimes nothing at all. But, like everything else in this business, it’s a matter of building relationships. This year there seemed to be a lot of interest in business, self-help, inspirational/motivational, environmental, relationships, health and parenting titles. The titles that tend to do well at this show have universal appeal and do not contain a lot of references to the U.S. or items you can only find in the U.S. Children’s titles that work at these shows do not contain pictures of kids that are obviously American or rhymes that are not possible to translate and that are global in theme. Certain countries like Spain, The Netherlands, Brazil and others prefer titles that are no longer than 250 pages as translation is cost-prohibitive. After the show, the displayed books in the IBPA booth were donated to BookBridge – a group that establishes teaching libraries in countries in need. If you are considering exploring foreign rights opportunities for your book (s) the following tips may help. Additional resources on foreign rights are listed below. Do your due diligence on any foreign rights agent or publisher before contacting them. Visit the organization’s website and perform an online search in advance. Another source to consult is International Literary Marketplace, which lists book industry contacts all over the world. 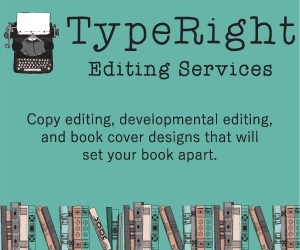 A reading copy or request for other information is the first step in a book licensing deal. More and more foreign rights agents/publishers are requesting PDF copies of titles to be sent instead of or in addition to physical hard copies. One reason is that some countries have agents, editors and decision makers scattered around a region and a PDF cuts down on mailing a book to each person. Another is the growing trend for publishers to go “green” whenever possible. If you are at all concerned about sending a PDF copy we suggest you that you add a method of copy protection to the file. 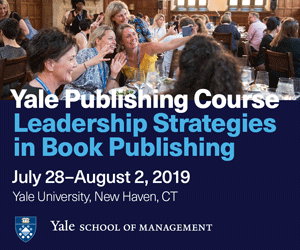 To accompany a reading copy, send any sales figures, promotional material, or any additional information you may have that might be of interest and could affect sales. If your author is available to travel to a country for book tours or can remotely promote the title, please mention that as well. Confirm the address to which you will be sending your title and ask the recipient which carrier is preferred, so that you can ensure that your title will arrive in that country efficiently. The publishing company’s editorial committee will review the book, and you will be contacted as to whether a contract can be considered. Always have your attorney check any contract before signing. It is important to note that foreign rights deals can take several months or even years to negotiate. IBPA received rights requests from last year’s show at this year’s Frankfurt Book Fair, so do not be discouraged if you don’t hear anything right away. The amounts paid for the licensing of rights vary widely. If the country is not affluent, you may be offered just a few hundred dollars. If the country is more developed, you may be offered several thousand dollars up front. During this year’s Frankfurt Book Fair, we were informed by one of our contacts that a book we placed with them sold 35,000 copies in a two-month span and another contact told us that he was able to get a five-figure advance for a title. At the other end of the spectrum there is also the book that received a $300 advance from an emerging country. There are several articles for members at the IBPA site about the beginning, middle and continuing stages of working with international publishers and it is a great source to begin your research on this topic. 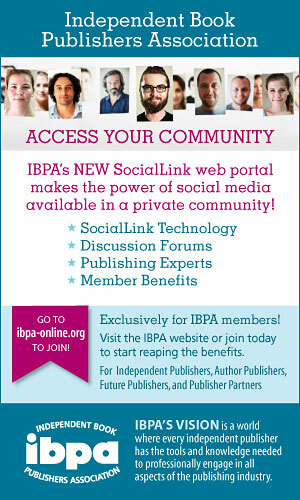 Members, please enter your username and password and then type in the word “foreign” in the search area here: http://articles.ibpa-online.org/articles/news.aspx for those articles and more. Pictures from this year’s show can be found at the IBPA flickr site. The title listings and annotations from the show catalog are added to the foreign rights database of the IBPA site and remain there for a year. 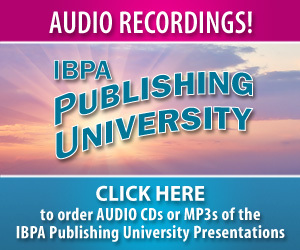 The catalog for this year is posted on the “Featured Titles” and “Book Professionals” pages of the IBPA web site. The color catalog from the show is emailed to all of our relevant foreign rights contacts as well. 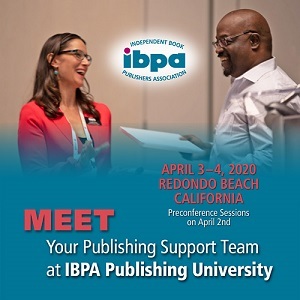 IBPA will continue to distribute this catalog throughout the year and will forward any and all requests to exhibiting publishers that will result over the coming months. We’d like to thank all participating IBPA publishers and hope that success comes your way through the Frankfurt Book Fair.